His main areas of practice include healthcare law, mergers & acquisitions, real estate law, corporate matters and commercial lending transactions. 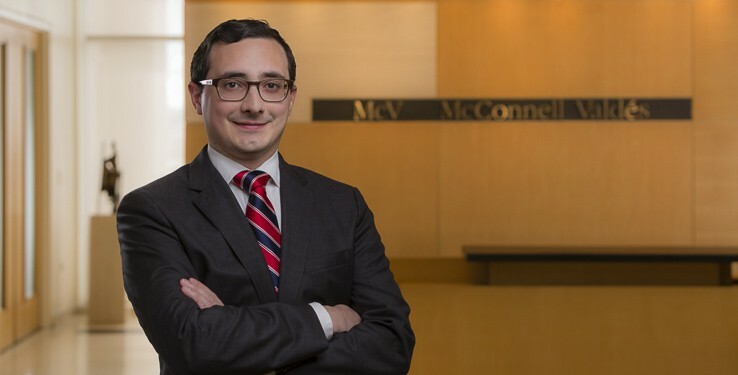 Since joining McConnell Valdés, Mr. Goyco has assisted hospitals and other health facilities with licensing and regulatory issues. He has also provided guidance on corporate restructures and acquisition deals for several organizations in the healthcare industry. Additionally, he has handled multiple real estate and commercial lending transactions. While in law school, he served as a member of the Board of Directors of the University of Puerto Rico Law Review and participated as a student attorney in the Community Development Legal Aid Clinic, where he advised non-profit entities on corporate issues. Mr. Goyco coauthored two law review articles: Ineficacia de Restricciones Contractuales a Cesiones bajo el Capítulo Nueve de la Ley de Transacciones Comerciales, 84 Rev. Jur. UPR 395 (2015), and Análisis de Término del Tribunal Supremo de Puerto Rico: Derecho Registral Inmobiliario, 84 Rev. Jur. UPR 723 (2015). He speaks English, Spanish and Portuguese.